Freedom House 2016 map of free (green), partly free (yellow), and not free (purple) countries in the world. Last year the world was battered by overlapping crises that led authoritarian regimes to crack down harder on dissent, according to the US-based Freedom House. The increasedandnbsp;xenophobic sentiment in democratic countries, the undermined economies of states dependent on the sale of natural resources, and increase in crack-downs on dissents have contributed to the tenth consecutive year of decline in global freedom, Freedom House states in its reportandnbsp;Freedom in the World 2016, Anxious Dictators, Wavering Democracies: Global Freedom under Pressure​,andnbsp;issued today. Of the 12 countries with the worst aggregate scores for political rights and civil liberties, Sudan scores sixth, after Turkmenistan and the Western Sahara. 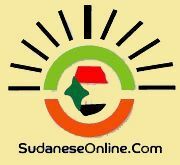 Freedom House does not note any difference in the situation of Sudan in 2015 compared with former years. The country is still enlisted among the 50 “not-free countries”, that represent 26 percent of the world. The number of people living under “not-free conditions” stands at 2.6 billion, or 36 percent of the global population, though it is important to note that more than half of this number live in China. The number of countries designated as “free” stands at 86, representing 44 percent of the world’s 195 polities, nearly 2.9 billion people - or 40 percent of the global population. The number of “free” countries decreased by three from the previous year. The number of “partly free” countries stands at 59, or 30 percent of all countries assessed; they are home to just under 1.8 billion people, or 24 percent of the world’s total. The number of “partly free” countries has increased by four from the previous year.